It started with the pretty row-of-hearts sticker from K & Co., and grew from there. I chose two papers from K & Co.'s Madeline paper pad to coordinate with the sticker and put on a few goodies to dress it up: half a die cut (Amira Flourish by Memory Box), a little tag with the word 'hugs' from Inspired By Stamping's Little Phrases II, some sheer pink ribbon and natural twine, and a few pearls. I'll be sure to come back here and share more cards soon. Thank you SO much for your visit today! Paper: white - PTI; Crumb Cake - SU; Madeline - K & Co.
Oh Col....this is absolutely BEAUTIFUL! niesamowicie piękna praca, napatrzeć się nie mogę, brawo!! How PRETTY! Love those lovely little hearts all lined up, very romantic! 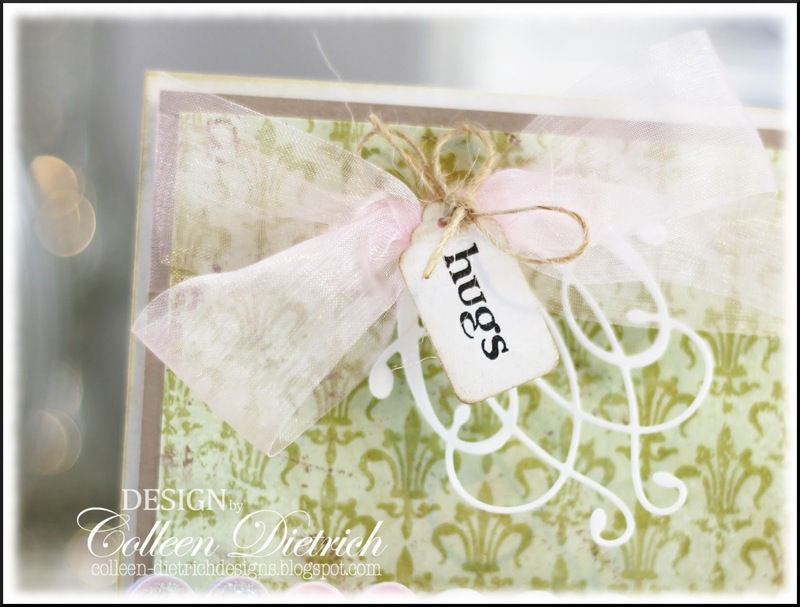 Beautiful, Colleen...love the softness of this card and the subtle pastel colors...great job! Isn't it fun when ideas strike! Good for you. Lovely card! Hug to you too =) so happy you found the time and creativity to knock out 8 cards! Super sweet love the row of hearts! I love the embellishment cluster you made, with the swirls and twine and ribbon and tag! So many simple little items coming together beautifully! 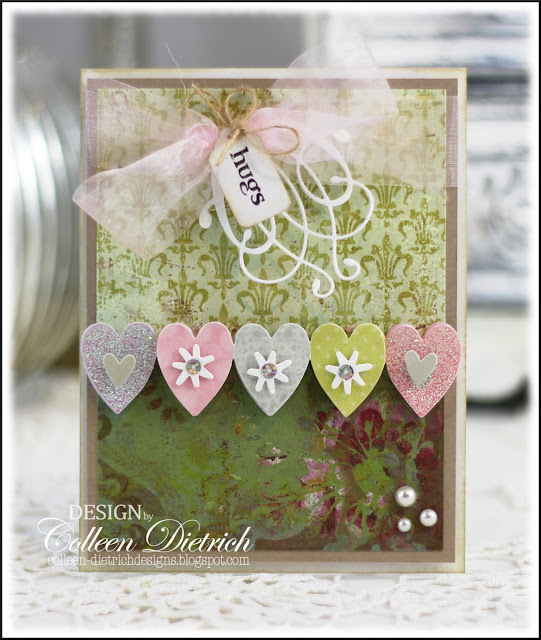 Love the row of hearts and your little sentiment with the flourish & ribbon! Great card. Wow wow wowwwwwwwwww! This is GORGEOUS!! I love love love those hearts!!! Sooo gorgeous and I love those pretty papers! OOOH! LOVE that row of hearts, your tiny tag, and that FAB flourish! So PRETTY, Colleen! And eight cards! I NEED some of your mojo! Love the subtle addition of that Amira flourish die and your felt hearts are perfect. Wow! This card couldn't be any lovelier, Colleen! Very pretty pinks and greens! The row of hearts are so sweet! Glad you went with your creative mood and made great success! Take care, hugs! what a sweet card, with valentine Hugs. So pretty! LOVE the colors!!!!!!!! And the embellies on the UL corner are fabulous! I've been feeling the same since before Christmas. I think I just got burned out. It's coming back slowly but surely! Looks like your Mojo is definitely in the house. I love the non-traditional colors. You dressed up the sticker beautifully! The sticker hearts are so sweet and I love the Amira flourish. Glad your mojo is coming back. I'm sure it leaves us all at one time or another. This card is breath-taking! The patterned paper is beautiful, and those little hearts are perfect! Oh Colleen this is beautiful! I really love your style ... Thanks so much for playing at CCCB! This is so lovely, I like the colors, the hearts and pretty bow, thanks for sharing it with us at CCCB! 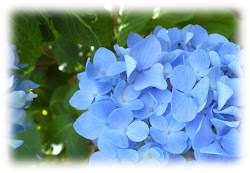 Oh, beautiful! Those hearts are so pretty. A bit of whimsy on such a flourishy sophisticated background. I LOVE it! Oh my goodness girly. I don't know how I missed this card. But I have to say it is gorgeous. I just love it. It's perfect for our challenge. So glad you played along with us over at CCCB! Very beautiful card. Thanks so much for playing along in the Valentine/Love and Ribbon challenge at Really Reasonable Ribbon. Huggs....Ginny from Polly's. 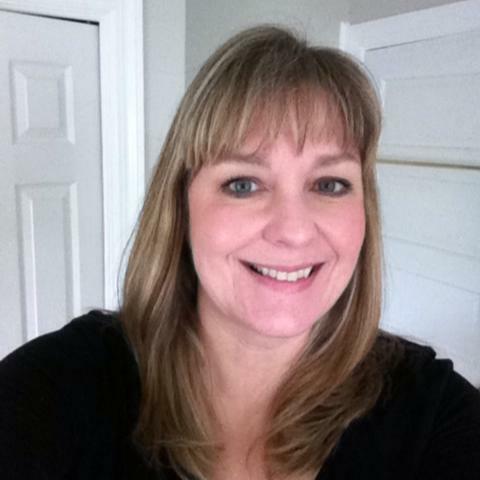 What a stunner Colleen!! I never knew 20 year old lace could look so good - but it sure does look amazing on your project. Beautiful design - love the colors. Tee hee hee - that last comment was meant for a different card :)!! This card however is worthy of a second comment anyway - it's BREATHTAKING!!!!!!!! No, seriously - I am in love with the papers, the hearts on hearts, the fun pearls - and the oh so amazing and special bow/tag design. Love it!! Such a beautiful card design!! Love it! Oh my gosh how cute! I love the row of sweet hearts and how you used the little die piece in the corner. Just stunning. Making It Better + Blog Candy! Inspired By Stamping Release Day!